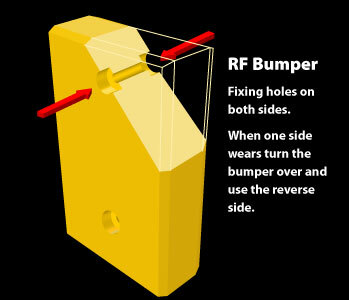 All Nytrex® RF holed dock bumpers come complete with reversible fixings giving 2 TIMES the wear from each Nytrex® dock bumper. 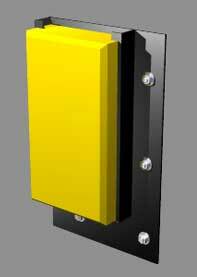 Standard size Nytrex® Dock Bumpers replace all existing rubber and steel faced bumpers with no need for extra fixings or cost. 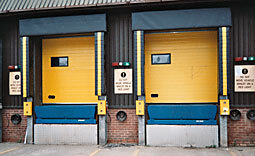 All standard sizes: 1018, 1030, ‘L’ shaped and EODs readily available along with custom sizing and configurations to suit any loading/unloading dock operation. Nytrex® standard holed dock buffers will fit your existing dock buffer fixings – no need for expensive new drillings of your dock concrete. 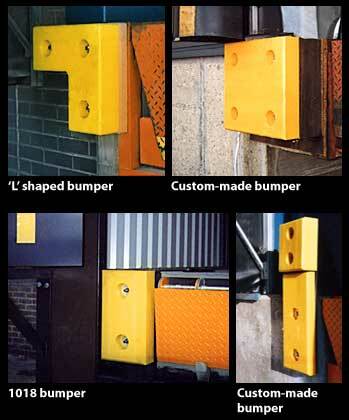 Custom-made, SAFETY YELLOW Nytrex® Dock Bumpers can be made to any size or configuration.These prevent costly damage to buildings and loading bays from non-standard trucks. No wires, wheels or pulleys to fail. The Nytrex® Slider Dock Bumper Combo allows movement with your vehicle bed during loading and unloading. IDEAL for air suspension trailers. 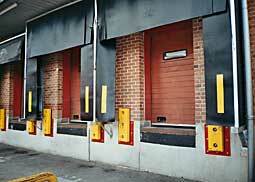 Oakland International main suppliers of Nytrex® loading bay products.